June 2017 Featured Interpreter of the Month, Sophy! 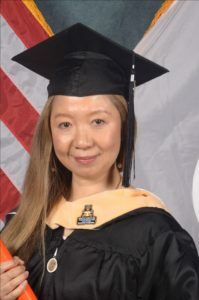 Sophy is a native Mandarin Chinese speaker who received her Bachelor’s Degree in English Education from College of Foreign Languages at the Capital Normal University in Beijing, and her Master of Science in Social Work with a certificate in Gerontology at the University of Tennessee, Knoxville. She translates for schools, medical and legal offices, courts, and international scholastic competitions. 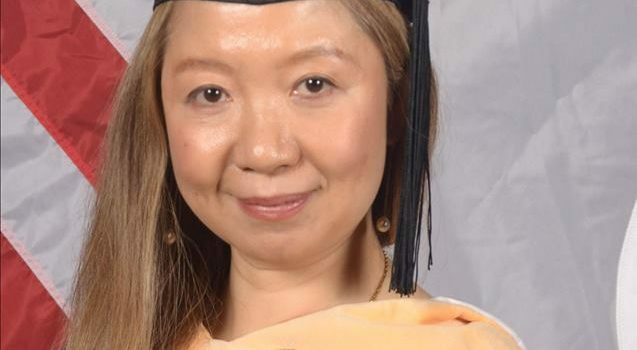 She also taught Chinese language & culture classes to students of all ages, including courses at Roane State Community College. 1. What do you find most rewarding about your job as an interpreter and why? – The best part of being an interpreter is facilitating communication in professional settings as well as international events. We just waved goodbye to Destination Imagination Global Finals 2017 students from all over the world, and I had an amazingly fun experience as an interpreter helping these outstanding youngsters participate and watching them interact, problem-solve, and unleash their creativity. 2. What is your favorite thing to do during your free time? – My favorite hobby is gardening. It helps me stay grounded and maintain a connection with nature, creates and fosters beauty in the world, and gives me a sense of security and knowledge about some of our food supply. Sharing flowers and produce with friends and neighbors is also a fun way to build connections. 3. If you could travel to any place in the world, where would you go and why? – I would like to travel more both in the US and my birth country China. The US has a lot of grand landmarks that I would like to visit like the Grand Canyon, Yellowstone, and California’s redwoods and sequoias. In China, I would like to visit my father’s home province Hunan and some ancient capitals and archaeological sites that are integral parts of my culture and heritage. 4. What is one thing you really love about living in Knoxville, Tennessee? – I can’t say enough good things about living in Knoxville. We’re close to the natural beauty of the Smokies and the Cumberlands, and near extended family. We’ve built wonderful relationships through our work and community here. 5. What is your greatest accomplishment in your life thus far? – My proudest recent accomplishment is completing my Master of Science in Social Work with certificates in Gerontology and Human Services Management last month. I am especially proud that I got straight A’s in all my classes and paid for it myself.